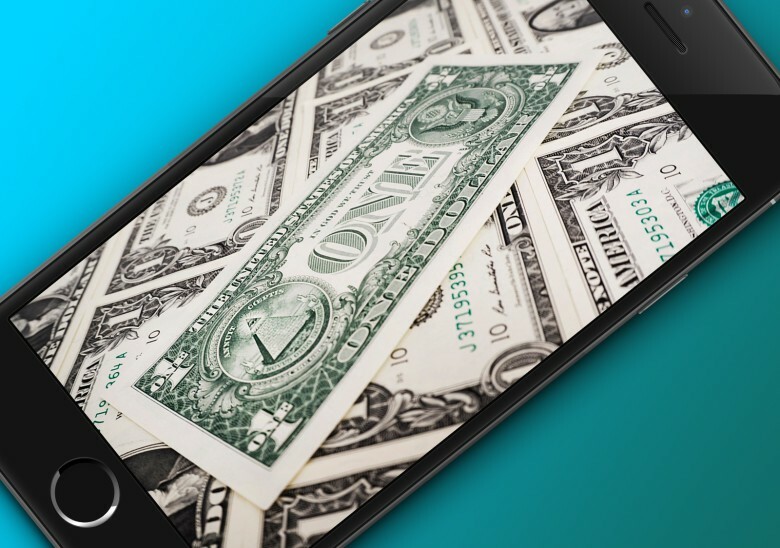 Apple's Services division is making hella bank. 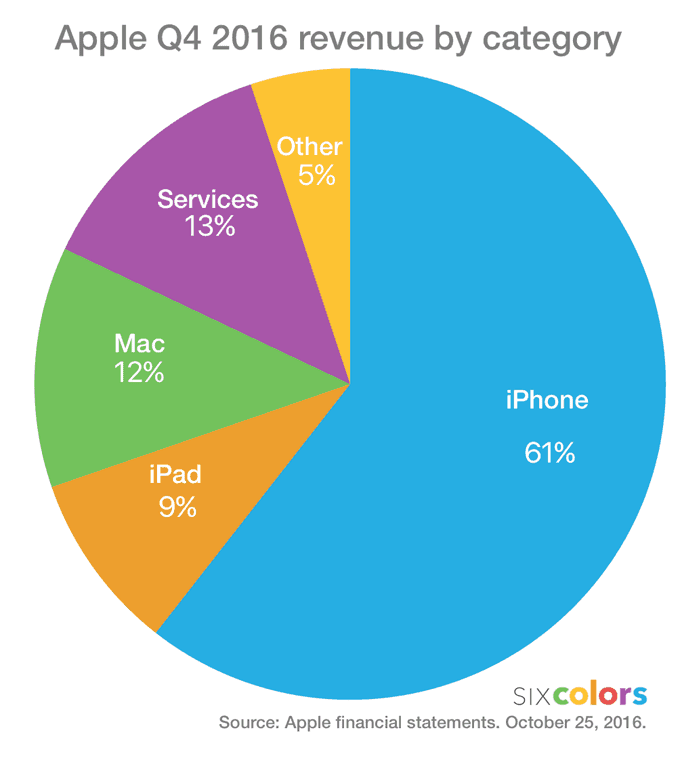 Apple’s Services business is now worth more than its individual iPad, Mac and Apple Watch businesses, according to the company’s quarterly earnings — and beautifully illustrated by the Apple-watching website Six Colors. Check out their graph below. Services just keep on growing. Bolstered by iCloud, iTunes, the App Store and Apple Music, the Services division of Apple represented 13 percent of the company’s Q4 earnings. While that’s still far below the dominant 61 percent that the iPhone makes up, it’s also higher than 9 percent of the iPad, 12 percent that the Mac represents, and 5 percent of “Other” products the Apple Watch comes under — as well as 22 percent higher than it was last quarter. To put the figure in perspective, if Apple decided to spin-off its Services business as a separate company by the end of 2017, it would be big enough to be a Fortune 100 company in its own right. Whether Services will remain ahead of Mac sales in the coming quarter, with Apple’s new computers set to be announced tomorrow, remains to be seen. However, with Services increasing at double-digits each quarter, and Mac sales continuing to slide, I wouldn’t be too surprised.